Aftermarket accessory makers have long supplied Glock and Smith & Wesson fans with a myriad of options to elevate both the performance and looks of the pistols, but now aftermarket makers are diving into the production pool offering their own out-of-the-box, complete pistols. Tricked out, customized guns are nothing new but accessory makers interest in providing their own complete set-up seems to be on the rise. 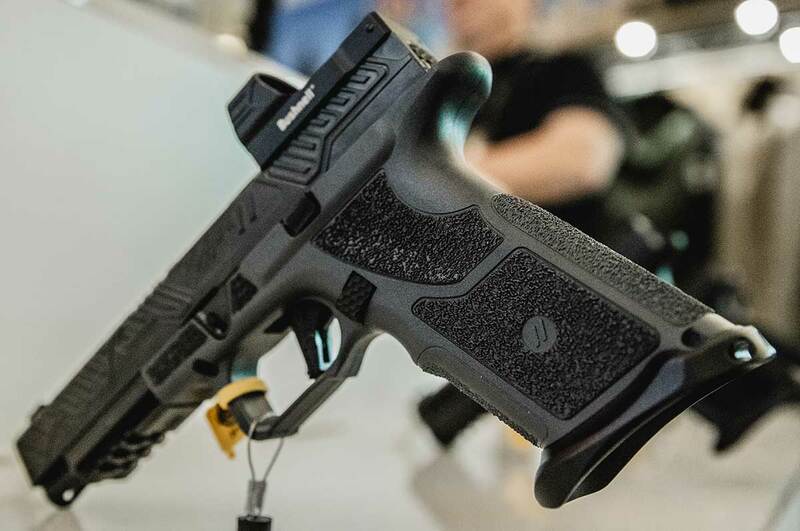 Companies like Faxon Firearms, Zev Technologies and Shadow Systems previously devoted time to aftermarket slides, triggers and custom services, but now bring their own pistols to market. Faxon Firearms announced its pistol, the FX-19, ahead of SHOT Show. Divided into two models, the Hellfire and Patriot, the FX-19 brings Faxon’s classic style in an all-in-one package. 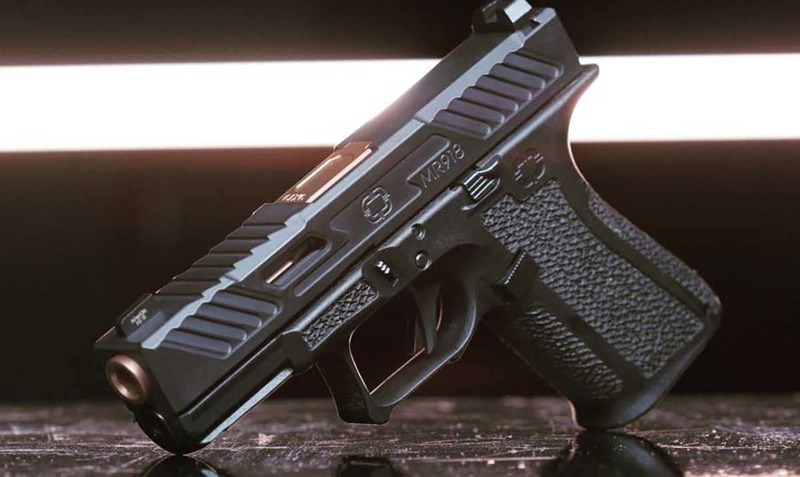 Curt Staubach, Director of Marketing at Faxon Firearms, told Guns.com that the appeal of the FX-19 comes down to little parts working together to create a better all around pistol platform. Staubach said the FX-19 isn’t for everyone. The company acknowledged that some buyers just love the joy of building guns. For those, the company offers the Patriot and Hellfire components so customers may build or add to their existing guns as they please. Zev Technologies burst onto the scene with their own take on parts and components, offering a high-end look for pistols. The company just recently announced it too has jumped into the packaged gun platform, unveiling the O.Z-9. The pistol exhibits a Glock-like look but kicks up the features introducing a custom vibe. Representatives at Zev explained to Guns.com that while the O.Z 9 still features that Zev flair, now consumers don’t have to worry about piece-mealing their guns together. Zev and Faxon aren’t the only parts makers coming to play. 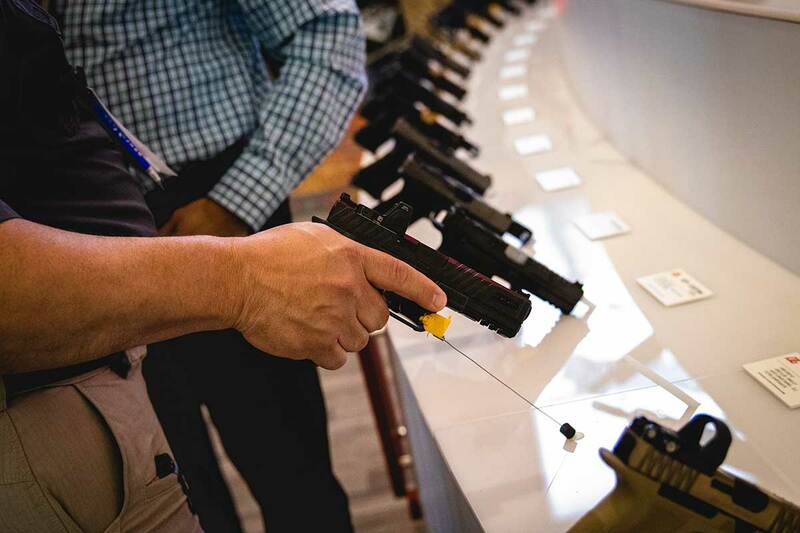 For Shadow Systems the goal has always been to help the end user achieve the pistol they want. 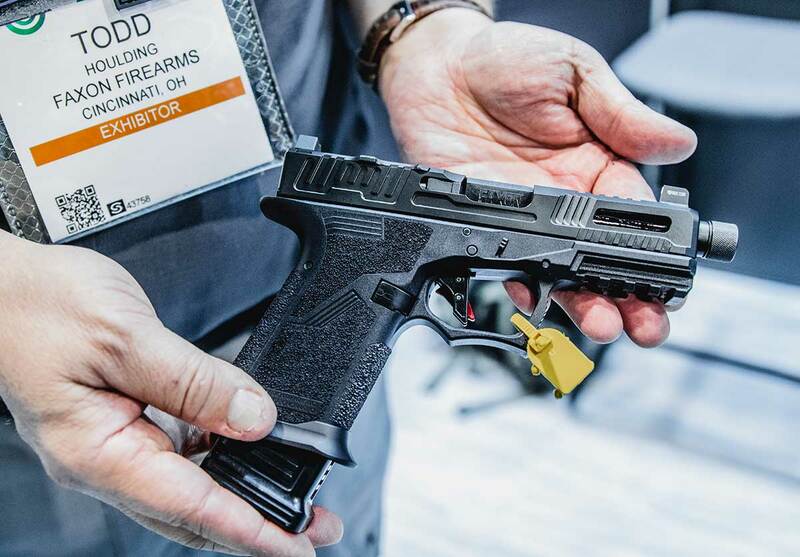 Previously relying on aftermarket accessories or customization to do that, the company has since launched its own pistol platform, the MR918. “Back the mid-90s every page in every gun magazine was a custom 1911. At that time everyone was 1911 crazy. Sometime in the early 2000s people kind of went AR-15 crazy. 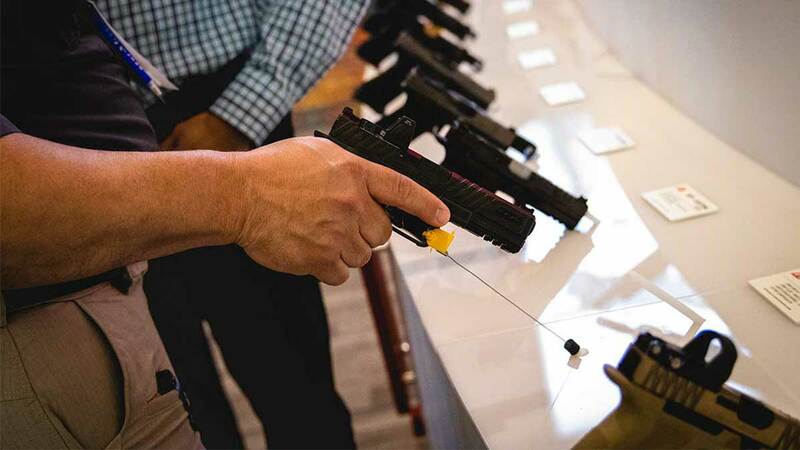 So now I just think it’s shifted a little and there’s a real interest in striker fired polymer handguns,” Trevor Roe, General Manager of Shadow Systems, said. In terms of what Shadow Systems brings to consumers, Roe said the MR918 fills that space of custom aesthetics but at a reasonable price. “We wanted to be accessible. We wanted people that really wanted to have a custom Glock or a custom part to afford it,” he added. In terms of why more aftermarket accessory makers are turning to complete builds over specific pieces and parts, Shadow Systems National Sales Manager Chad Jewett offered his analysis. At the end of the day, the rise in boutiquey guns from aftermarket accessory makers squarely rests on the shoulders of gun owners who prize uniqueness and individuality over the everyday and ordinary.